Cary, NC [March 19, 2019] – The V Foundation for Cancer Research’s Victory Ride to Cure Cancer, a one-day charity cycling event benefiting the V Foundation in Raleigh, N.C., is delighted to announce Braswell Family Farms as presenting partner. 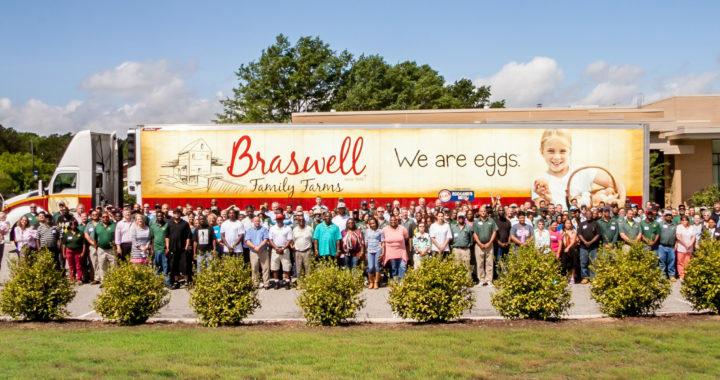 Braswell Family Farms, one of the foremost producers of premium and specialty eggs and feed on the East Coast, is joining the V Foundation on May 18 to help achieve Victory Over Cancer®. As the presenting partner, Braswell Family Farms will enhance the ride-day experience for participants, volunteers and spectators. Braswell Family Farms will provide breakfast for all riders and volunteers and provide hard boiled eggs throughout the course to fuel cyclists. Prior to the Victory Ride, Braswell Family Farms will visit Victory Ride partners on a breakfast tour. Victory Ride participants raise a minimum of $250 with 100% of rider-raised funds directed to cancer research. The Victory Ride benefits Duke Cancer Institute, UNC Lineberger Comprehensive Cancer Center and Wake Forest Baptist Health Comprehensive Cancer Center, as well as breakthrough cancer research nationwide. From start to post-ride, the Victory Ride has many exciting features. George Hincapie, 17-time Tour de France competitor and Grand Marshal of the Victory Ride, will lead the first wave of riders out of NC State University’s Centennial Campus. The Victory Ride festival area will have a kids bicycle obstacle course. Cyclists and their guests can enjoy food trucks and local breweries in a post-ride celebration. For more information about the Victory Ride to Cure Cancer or to register for the ride, please visit www.thevictoryride.org/register. Follow the Victory Ride on Facebook, Twitter and Instagram @TheVictoryRide and through #TheVictoryRide. For more information on the V Foundation for Cancer Research or to make a donation, please visit www.jimmyv.org.